University of Maryland researchers have created a fabric that can automatically regulate the amount of heat that passes through it. When conditions are warm and moist, such as those near a sweating body, the fabric allows infrared radiation (heat) to pass through. 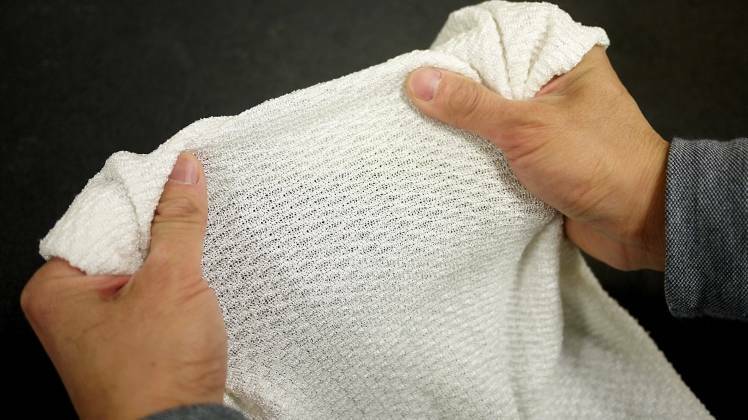 When conditions become cooler and drier, the fabric reduces the heat that escapes. The researchers created the fabric from specially engineered yarn coated with a conductive metal. Under hot, humid conditions, the strands of yarn compact and activate the coating, which changes the way the fabric interacts with infrared radiation. They refer to the action as 'gating' of infrared radiation, which acts as a tunable blind to transmit or block heat. According to YuHuang Wang, a professor of chemistry and biochemistry at UMD, this is the first technology that allows to dynamically gate infrared radiation. The base yarn for this new textile is created with fibers made of two different synthetic materials - one absorbs water and the other repels it. The strands are coated with carbon nanotubes, a special class of lightweight, carbon-based, conductive metal. Because materials in the fibers both resist and absorb water, the fibers warp when exposed to humidity such as that surrounding a sweating body. That distortion brings the strands of yarn closer together, which does two things. First, it opens the pores in the fabric. This has a small cooling effect because it allows heat to escape. Second, and most importantly, it modifies the electromagnetic coupling between the carbon nanotubes in the coating. Depending on the tuning, the fabric either blocks infrared radiation or allows it to pass through. The reaction is almost instant, so before people realize they’re getting hot, the garment could already be cooling them down. On the flip side, as a body cools down, the dynamic gating mechanism works in reverse to trap in heat. The human body is a perfect radiator. It gives off heat quickly. For all of history, the only way to regulate the radiator has been to take clothes off or put clothes on. But this fabric is a true bidirectional regulator. 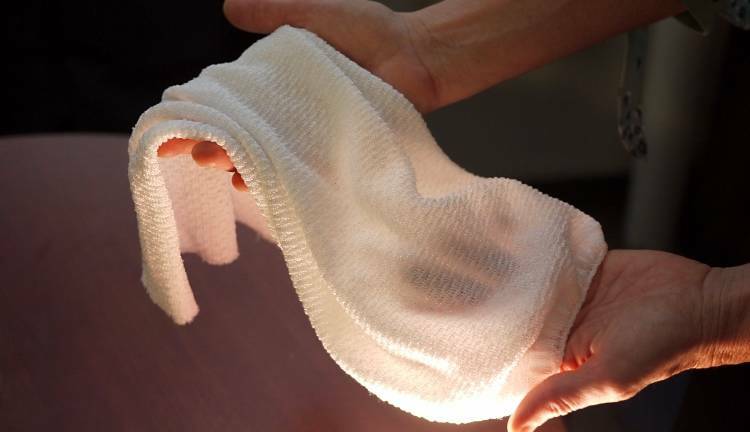 This is the first textile shown to be able to regulate heat exchange with the environment. This pioneering work provides an exciting new switchable characteristic for comfort-adjusting clothing. Textiles were known that increase porosity in response to sweat or increasing temperature, as well as textiles that transmit the infrared radiation associated with body temperatures. However, no one before had found a way to switch both the porosity and infrared transparency of a textile so as to provide increased comfort in response to environmental conditions. 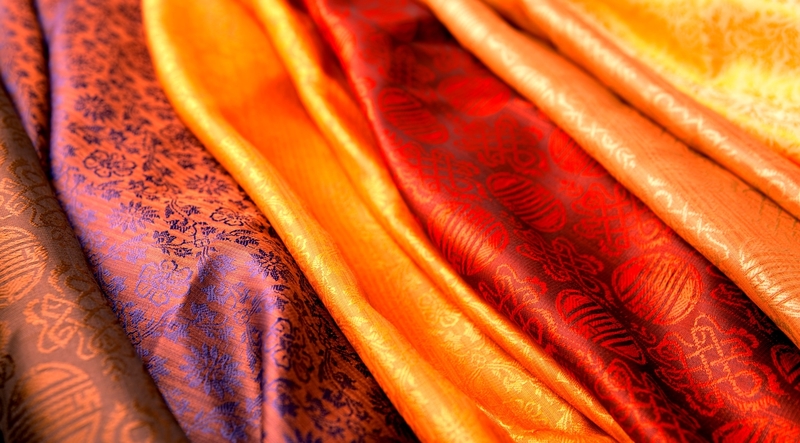 More work is needed before the fabric can be commercialized, but according to the researchers, materials used for the base fiber are readily available and the carbon coating can be easily added during the standard dyeing process.